This Excel tip shows you how to rename a module in Excel. This is a very important thing to do when you have a large number of macros in a workbook and you need to keep track of what is contained in every module. 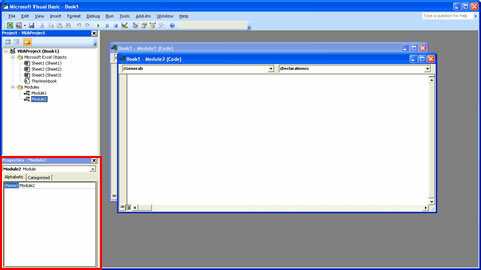 Modules are just one place to insert a macro but this is the most widely used place location for Excel macros. Highlight the desired module by clicking it once. Go to the box/window right below where the modules are visible. This is called the "Poperties" window. 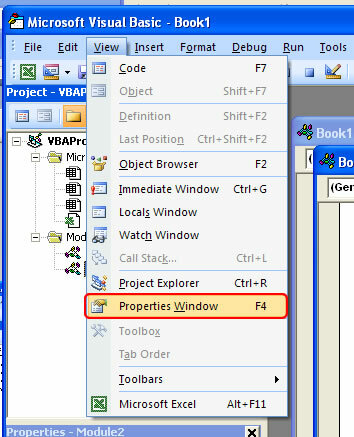 If the Properties window is not visible, press "F4" on the keyboard. 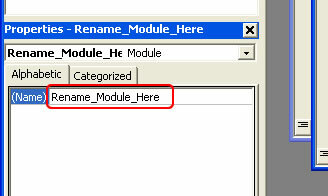 Click in the box next to where it says "(Name)" and rename the module. 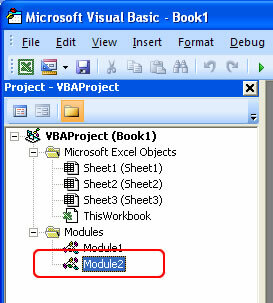 By default you will see the text "Module1" or "Module2" etc.